Templates are defined at specific locations along the blade. 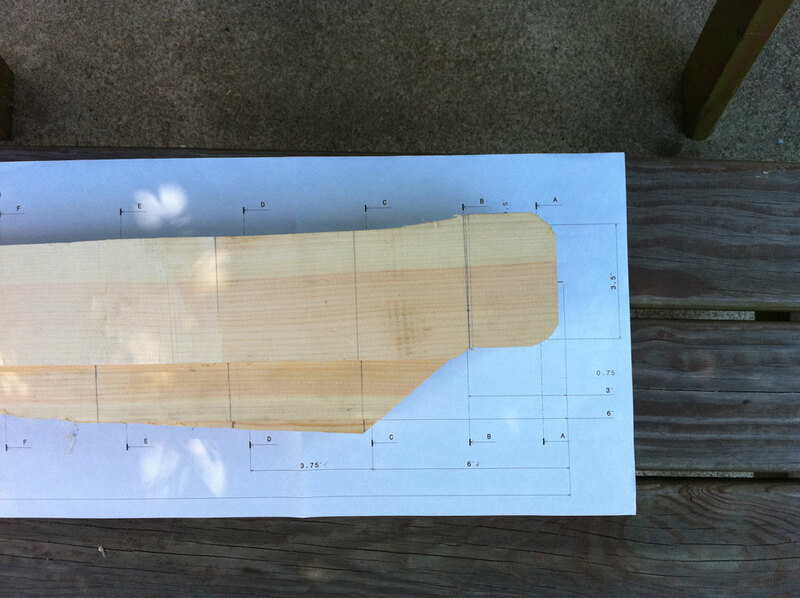 Each template defines the airfoil shape and twist. 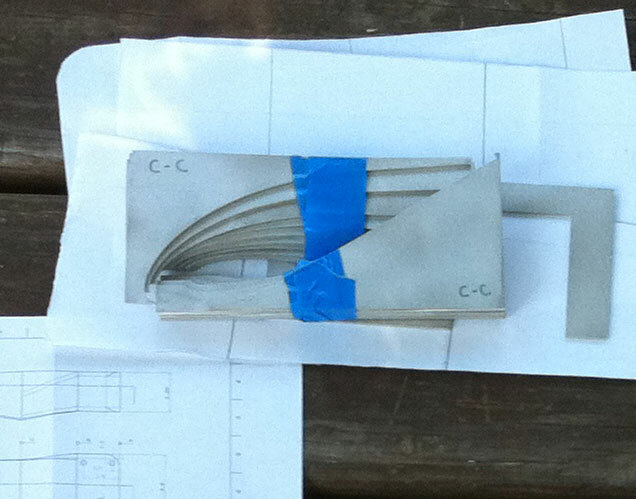 Templates are water jetted out of 1/16 th Aluminum plate. Each section is marked with a letter corresponding to the station location. 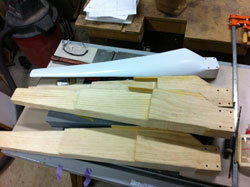 The drawing to the left defines how to glue wood boards together to form the blank propeller to carve. 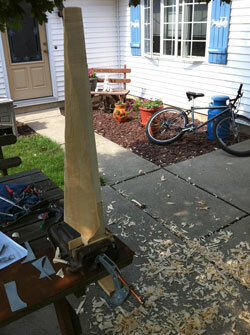 For this blade I used 3/4" Pine boards. Pine is a soft wood, and easy to carve. 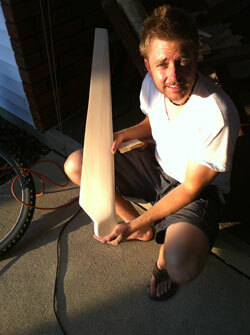 I later use a wood hardener to preserve the outside shape and reduce nicking. 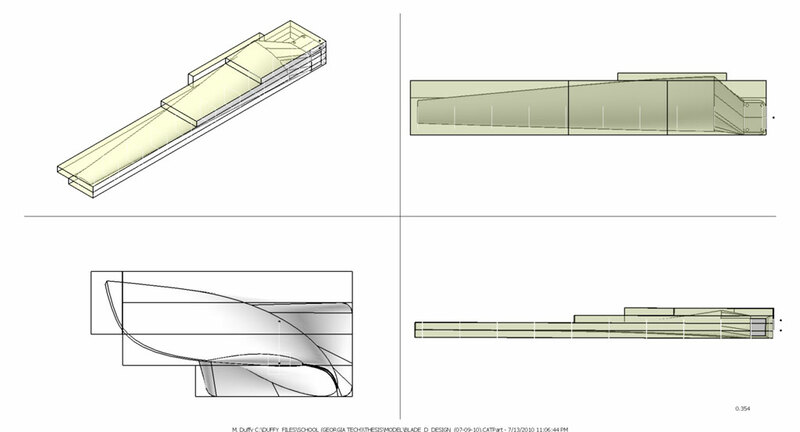 Layout Drawing. The planks are glued together with Tight bond brand wood glue. 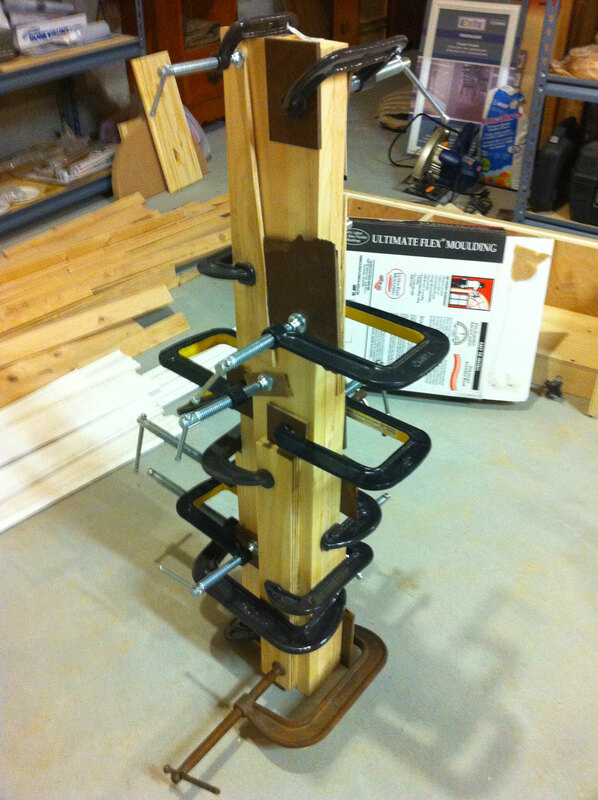 It is critical that no air gaps remain, so use as many clamps as possible. I use scrap wood between the clamps and the planks to ensure the clamps don't poke holes in the wood. 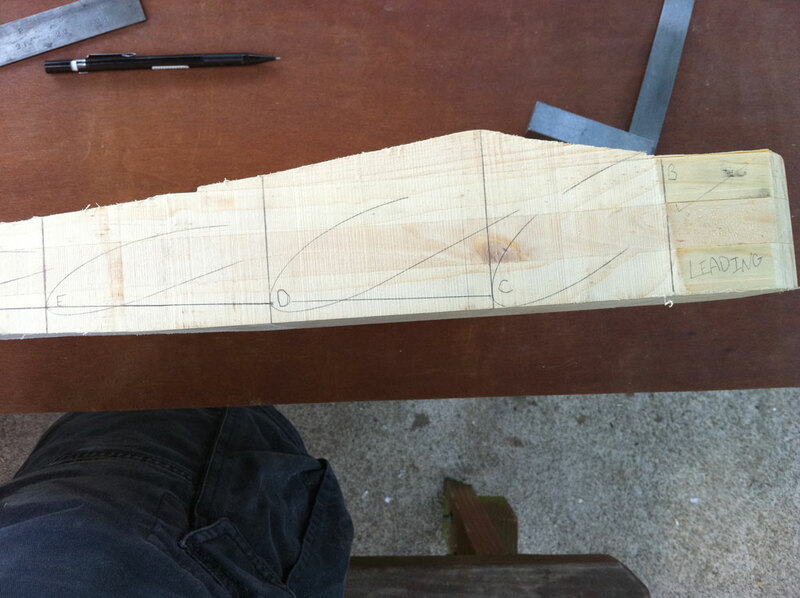 Mark the planform on the glued-up wood blank. 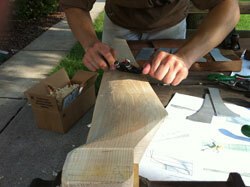 Then cut the planform out using a band saw (this step is completed to the right). 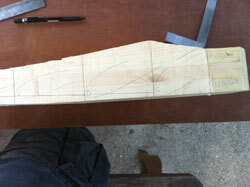 Next, mark the stations along the blade span to indicate where the templates will be placed. 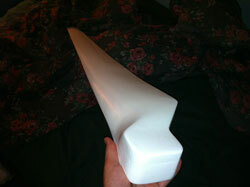 Mark the leading and trailing edge (leading edge shown to the left). 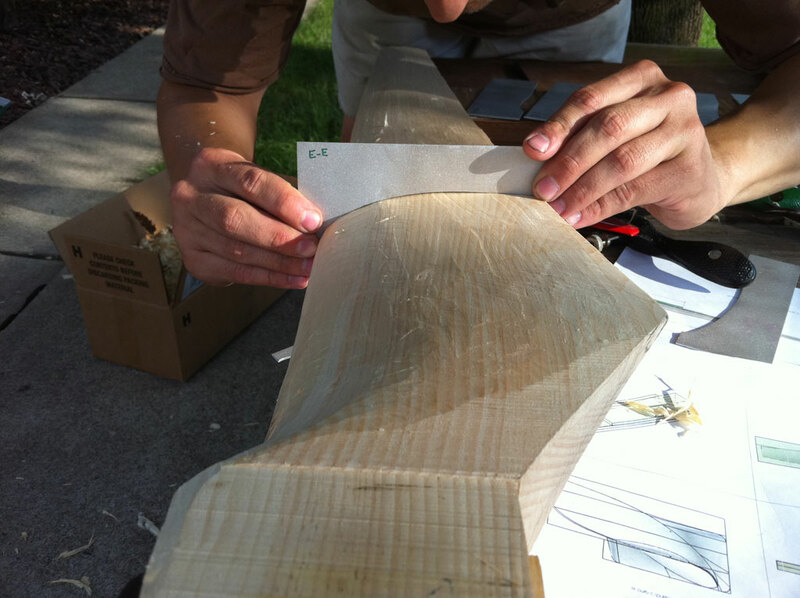 Begin removing material, leaving the leading and trailing edge untouched. As the blade begins to take shape, the templates are used to check the contour. A draw knife is used to hone in the final blade shape. Smile for a job well done! 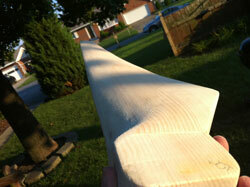 Add a coat of wood hardener (if you use a soft wood like pine), sand again, then spray paint. 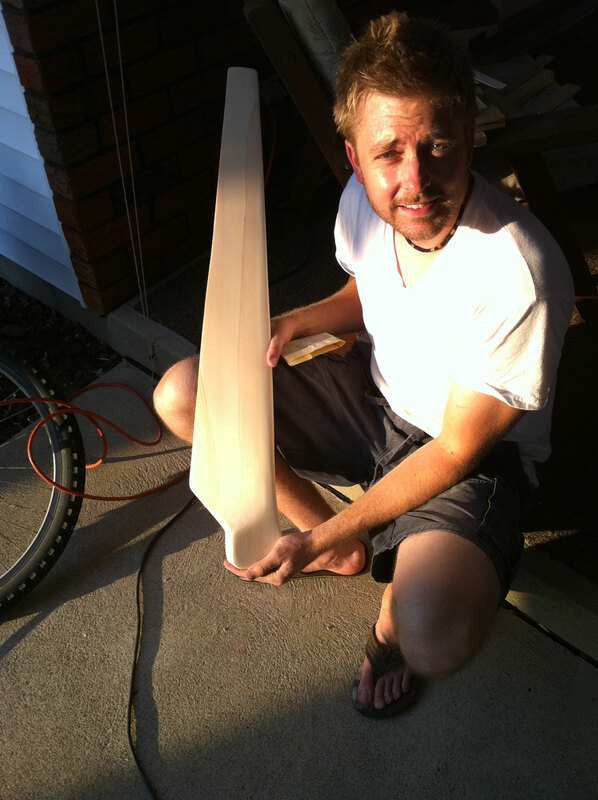 At this point you can repeat the process two more time and have three blades. Or, in this case, I am going to use the propeller duplicator to duplicate three more blades. Three more blanks are made, awaiting duplication. 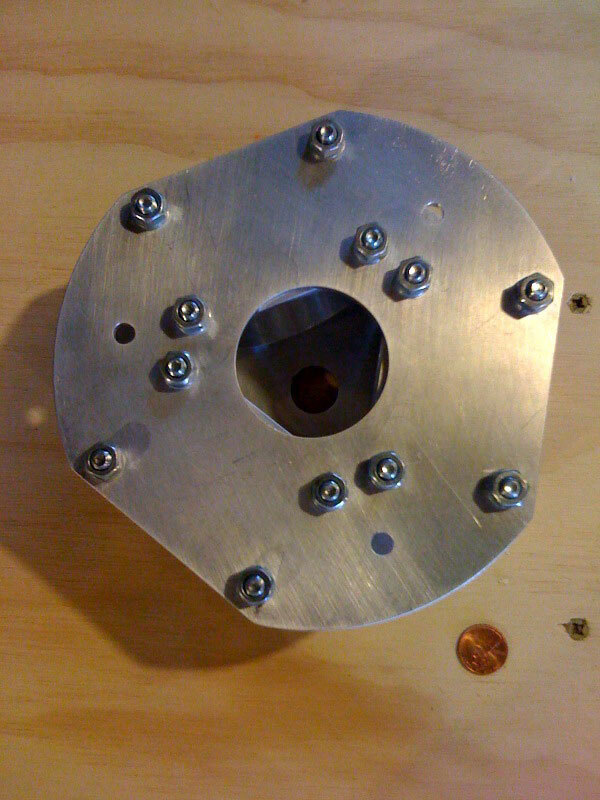 The hub is machined from Aluminum. The hub functions by pinning the blades between to plates. Hub drawing (ignore the blade grips, that was from an old design).